What is the UWA Pantomime Society? 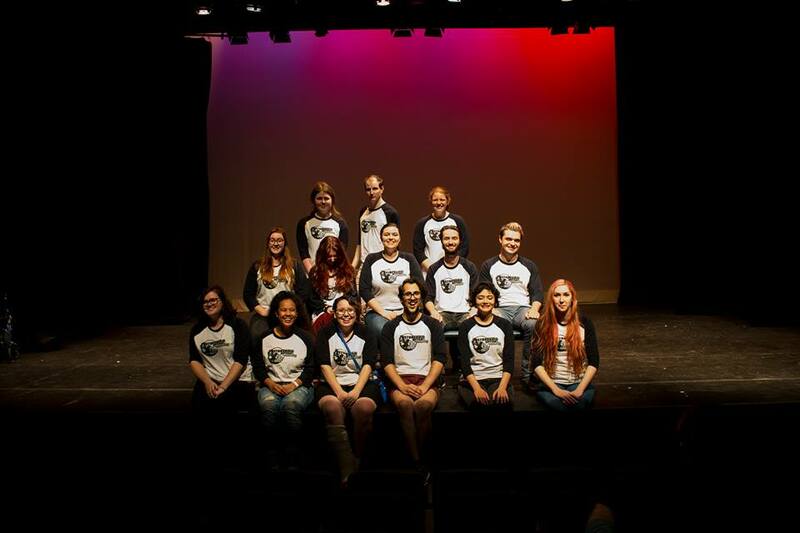 The UWA Pantomime Society is Western Australia's ONLY university-based, regularly-scheduled, all-inclusive, semi-improv theatre troupe (to the best of our knowledge)! All of our shows are devised, written, rehearsed, performed and crewed by university students, and more than anything they're all-inclusive. Anyone who auditions for our shows is guaranteed a part. Browse through our previous shows to get a feel for our performances. Not to be confused with an actual mime, we take well known stories and distort them in unexpected, improvised, innuendo-filled and cross-dressed ways. 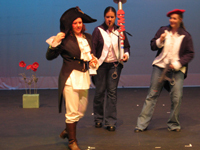 The point of a pantomime is that the audience gets to interact with performers. All their heckles, catcalls and generally unhelpful advice are incorporated into the show, often with unexpected results. To keep up to date with our latest events, add us on Facebook or Twitter. We also have a mailing list that we email information in the lead up to each performance, so if you would like to be added to that (or if you have any questions about anything), please email us at uwapanto@gmail.com. And check out our YouTube channel, which has past shows and behind the scenes extras! If you would like to become a member, come along to auditions at the start of each semester or our O-Day stall at the start of the year! If you'd like to be notified of auditions, email us at uwapanto@gmail.com. UWA Pantomime Society, 2004-2019. Site design by Bradley Walker.